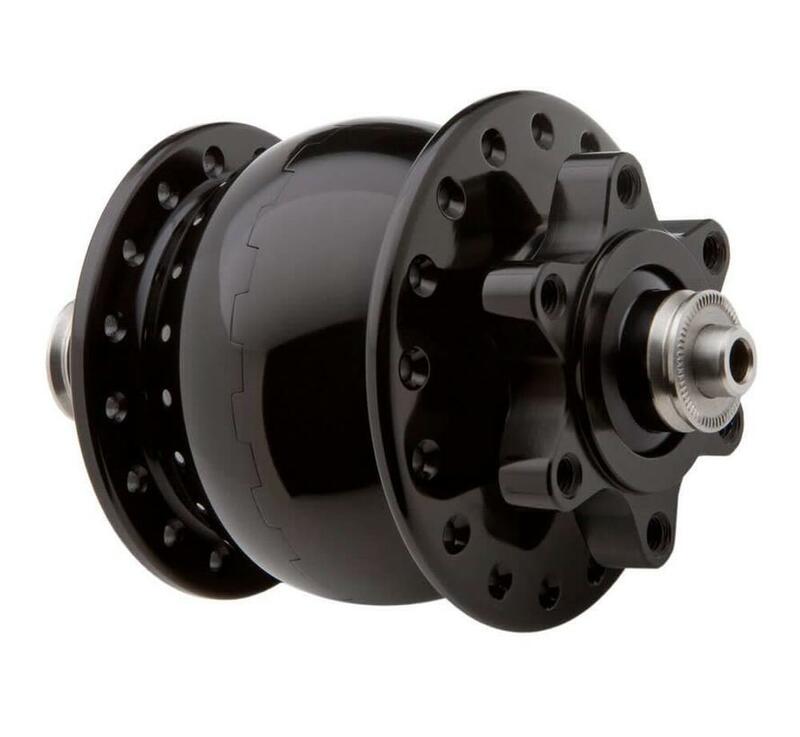 The Schmidt Dynamo front hub or SON (Schmidt's Original Nabendynamo) is extremely reliable and has almost no drag. Made by Wilfried Schmidt Maschinenbau in Tübingen, Germany, the hub is quiet and is designed to give at least 50,000 kilometers (8,000 miles) of trouble free riding between servicings. The hub powers many different six volt headlights including Schmidt's own Edelux II LED headlight and assorted taillights, both halogen and LED headlamps and taillights made by Busch & Müller in Meinerzhagen, Germany, Supernova lights and Spanninga lights. 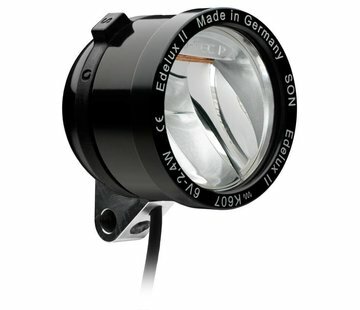 The SON is extremely popular amongst long distance cyclists who need reliable lighting for all night cycling in any weather conditions. Brevet riders would rather have light when they need it and don't want to carry batteries for a 1200k event. Bicycle commuters and people who don't require an automobile depend on the SON to make their cycling safe and efficient all year long in sun, rain and snow. Touring cyclists need light to make it to their next campground on a long day's trip. Many cyclists want to charge a cell phone or GPS while they ride. The SON hubs are ideal for this purpose. When your bicycle can make its own light, it becomes a reliable means of transportation, not just a toy or play thing for an afternoon's entertainment or exercise. With an automobile, you take its lights for granted. You get in the car, turn on a switch, and drive on down the road with the light you need. With the SON, you can take quality lighting on your bicycle for granted, just as you do in a car, making your bicycle just as convenient to use for everyday transportation as an automobile. 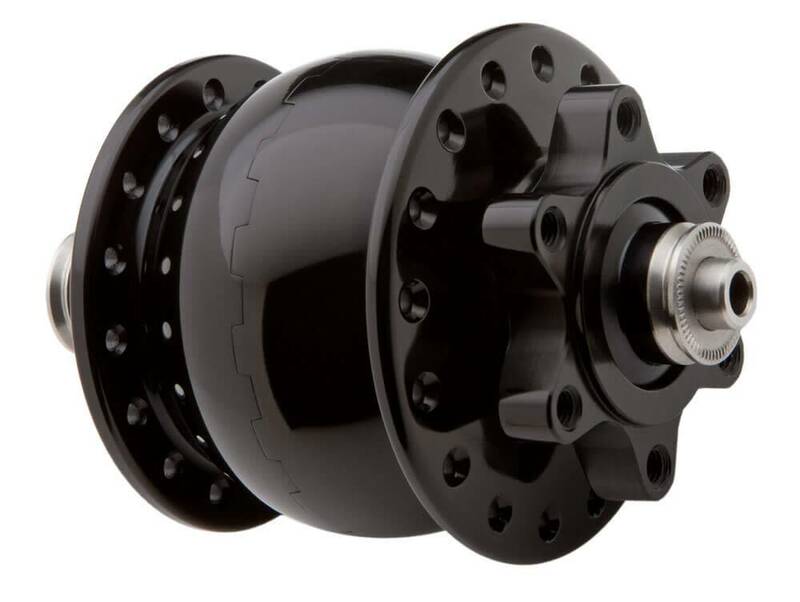 All versions of the hub now have a five year warranty. 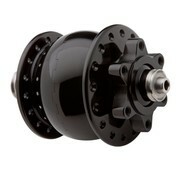 "SL" hubs use a special axle, and require a specially constructed fork to function. All modern headlights can be used with or without a taillight. We stock versions for bikes with rim brakes as well as disc brakes; both Centerlock and ISO. We have versions for folding bikes with short front hub axles, versions for 12mm thru-axle, 15mm thru-axle, tadpole type trikes, and even for "fat bikes" with their 135mm axles, and the really wide 150mm thru-axle forks from Rock Shox.